LONDON (Reuters) – Britain has raised its official forecast for economic growth in 2019 while the outlook for subsequent years was unchanged or slightly higher, finance minister Philip Hammond said on Monday as he outlined his annual budget. The country’s official budget forecasters now expect gross domestic product will grow by 1.6 percent in 2019, compared with a forecast of 1.3 percent made in March. 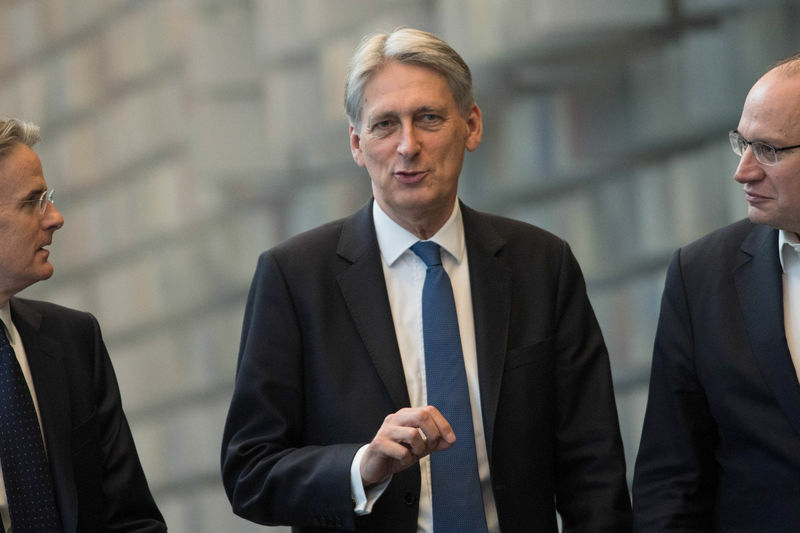 Growth forecasts in 2020 and 2021 were both 1.4 percent, compared with 1.3 percent and 1.4 percent respectively in the March forecast, according to figures prepared for Hammond by the Office for Budget Responsibility. By 2023 the growth forecast was 1.6 percent.